Asylum support must provide a safe place to live and enough money for people to look after themselves and their families. An extra 80p a week doesn’t cut it, writes Hannah Cooper, senior research and policy officer at Refugee Action. People seeking asylum will soon be entitled to an extra 80 pence per week, after the Home Office announced the first change to the rate of asylum support in three years. From February, the small allowance – which has stood at £5.28 per day for everyone, regardless of age or vulnerability, since 2015 – goes up to £5.39 per day. A miserly increase of 11p a day is a slap in the face to the many people who are reliant on this support. Any extra support, of course, has to be acknowledged. But at a time when the cost of living is soaring and with people waiting longer, sometimes years, for their claims to be processed, it’s hard to imagine that this negligible rise will improve the lives of people already struggling to feed and clothe their families. Refugee Action has long been of the view that expecting people to survive on so little is incompatible with a compassionate asylum system. Insufficient financial support is a symptom – along with delays, poor decision-making and a lack of independent advice – of a system that disempowers, dehumanises and damages those who need it. Asylum support was introduced at the turn of the century by section 95 of the Immigration and Asylum Act 1999. Initially, the rate was set at 70% of mainstream benefits. Over time, the support system has evolved in the context of a widespread belief that payments acts as a “pull factor” attracting people to the UK. Restrictions on the form and amount of support given to people seeking asylum reflects this belief – despite it having no basis in evidence. The link with mainstream benefits has broken and asylum support now stands at 52% of income support. In 2014, Refugee Action sought judicial review of the Home Office’s decision to freeze asylum support rates for 2013/14 at 2011 levels. Our claim was upheld, with the High Court ruling that the Home Secretary was “irrational” when setting support rates. In response, the government changed the way asylum support rates are reviewed and makes clear its rationale for setting the rate at a certain level. In our view, these reviews continue to be based on unreasonable assumptions that do not realistically reflect people’s needs. They have not resulted in any meaningful increase in asylum support. Every day we see people continuing to struggle to live in dignity while waiting for a decision on their asylum claim. As part of our campaign to increase support rates, we spoke to 40 people seeking asylum about what it’s like to live on little more than £5 a day. We spoke to people forced to choose whether to buy food or wash their clothes, skipping meals so that their children could eat and missing important appointments because they could not afford the travel costs. I always feed my child, but I sometimes do not eat, as I cannot always afford food. I know I should eat healthy food, fresh fruit and vegetables, but I cannot afford that so I eat what I can afford even if it’s not healthy. If anything, the situation for the approximately 39,000 people currently receiving asylum support has worsened. Many of them are having to live for longer on this tiny sum. Despite a recent decline in overall applications, half of people seeking asylum are now waiting longer than the government’s six-month target for a decision on their claim, according to the latest immigration figures from the Office for National Statistics. One woman who volunteers with Refugee Action in Manchester waited five years for an initial decision, while struggling to support her young family. When I came to the support group last year, my kids and I practically had nothing to wear. We came to this town in a month when it was snowing. How were we going to buy jackets from the money given? And you have to eat. The Home Office makes various assumptions when deciding the rate of asylum support. One particularly perverse calculation is the price of a “full set” of clothing, which the Home Office estimates to be £145.67 per year. This amount is then distributed at a rate of £2.80 per week, so that someone receiving asylum support would have to wait a whole year before they have enough money to buy a full set of clothes. By the Home Office’s own calculations, it would take someone more than two months of saving just to buy a warm coat for the winter. Most people seeking asylum in the UK have no way to support themselves, other than to rely on the state. They have no right to work, unless waiting for a decision on their claim for more than a year, and even then employment is limited to the hugely restrictive shortage occupation list, which includes jobs such as nuclear physicist and ballerina. 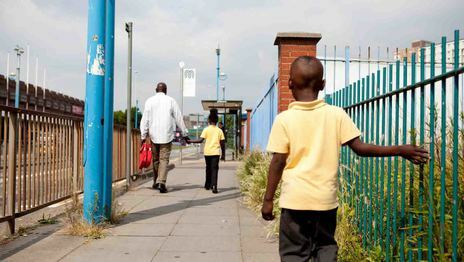 Many people seeking asylum are unable to cover the cost of English language lessons, for which they receive only partial funding of 50% to cover the cost of the course after waiting six months for a decision on their claim. This leaves people, who in many cases will go on to obtain refugee status or some form of protection, in a state of limbo: unable to work, struggling to feed and clothe themselves and their families and with no means to improve their chances of integrating effectively and successfully rebuilding their lives in Britain. Along with Asylum Matters and the Refugee Children’s Consortium, Refugee Action argued during the consultation for this latest review that the rate of asylum support should be restored to at least 70% of mainstream benefits. Next month, we’re launching an ambitious three-year campaign for an asylum system that is trusted to make fair and effective decisions, and that treats people seeking our protection with respect and compassion. We’ll continue to push for these recommendations and work with partners to expose the harsh realities of the UK asylum system. It will be an opportunity to make the case publicly for wider policy changes that will improve people’s lives and give those who have fled conflict and persecution the chance to contribute as active members of society. If we are to be seen as an open, tolerant and forward-looking country, we need to radically reform the way we treat those who arrive on our shores seeking protection. More information about Refugee Action’s asylum campaign will be available soon at www.refugee-action.org.uk/campaigns/. Senior research and policy officer at Refugee Action.